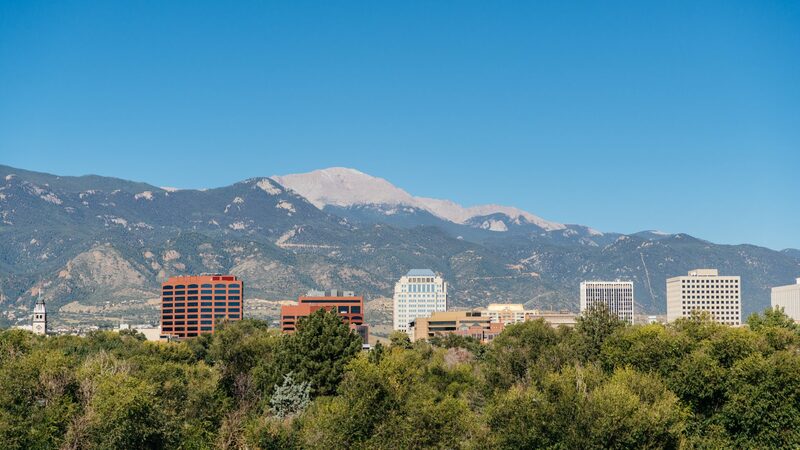 Our mission is to protect the taxpayers of Colorado Springs and El Paso County by asking the hard questions and demanding truth and accuracy from our government. Our Weekly Newsletter is intended to keep you informed on whats going on in City and Local Governement. If you have not subscribed to our Newsletter subscribe now! SpringsTaxpayers Newsletter 4/19/19: City Buckles On Redacted Bills, RBD Spending Your Money On Secret New Building, Metro District Taxes, and more! SpringsTaxpayers Newsletter 4/12/19: Skorman’s Taxpayer-Funded Legal Bills, Red Light Cameras Installed, Property Annexation, and more! SpringsTaxpayers Newsletter 4/5/19: Assessor’s Office Meetings, Election Results, Red Light Cameras, and more! SpringsTaxpayers Newsletter 3/29/19: Lawsuits, Tax Increases, Amazon, and more! SpringsTaxpayers Newsletter 3/22/19: Bike Lane Billboard, Saving TABOR , Election Information, and more! SpringsTaxpayers Newsletter 3/15/19: Election News, CC Parking, County 2A Resolution, and more! SpringsTaxpayers Newsletter 3/8/19: Ballots Out Today, Candidate Surveys And Forum Videos, Issue 1 Blog, and more! SpringTaxpayers Newsletter 3/1/19: Bike Lane Forum Fallout, Polling For Pothole Tax, Candidate Forums, and more! SpringsTaxpayers Newsletter 2/22/19: The Great Tax Giveaway, Battle Over The Bike Lanes, Coloradans Love TABOR, and more! SpringsTaxpayers Newsletter 2/15/19: Big Bucks Planned For Scheels, Creepy Assault In Manitou, Bike Lane Forum, and more! SpringsTaxpayers Newsletter 2/8/19: Crank Audio On The Bossy Nosy Neighbor, COS Candidate Information, LPR Retreat Deadline, and more! SpringsTaxpayers Newsletter 2/1/19: Candidate Survey Input, Olympic Museum Fundraising, California Emissions Standard Lawsuit, and more! SpringsTaxpayers Newsletter 1/25/19: Radio Interview About The Bossy Nosy Neighbor, What The Bike Planners Are Really Up To, Bills At The State Capitol, and more! SpringsTaxpayers Newsletter 1/18/19: PPRBD Bossy Nosy Neighbor, TABOR Victory, Property Annexation, and more! SpringsTaxpayers Newsletter 1/11/19: Krager Retiring, Hockey Arena Parking, Briargate Brouhah, and more! SpringsTaxpayers Newsletter 1/4/19: Urgent Community Meetings, Red Light Camera Updates, CSU Fines Averted, and more! SpringsTaxpayers Newsletter 12/14/18: Bike Lanes, $20 Million Shortfall On The Pedestrian Bridge, Vacation, and more! SpringsTaxpayers Newsletter 12/7/18: Skorman Update, Krager Doing CC’s Bidding, CSU Strategic Plan, and more! SpringsTaxpayers Newsletter 11/30/18: Budgets, Traffic Fatality Data, CSU Ratepayer-Owned Land, and more! SpringsTaxpayers Newsletter 11/16/18: Stormwater Failures, Developers Get A Pass, City For Champions Extension, and more! SpringsTaxpayers Newsletter 11/9/18: Traffic Safety, Synchronized Traffic Signals, New School Crosswalks, and more! SpringsTaxpayers Newsletter 11/2/18: New Housing In A Landslide Area, No Bike Count Data From The City, 50-Year Cog Rail Incentive, and more! SpringsTaxpayers Newsletter 10/26/18: Skorman The Interrupter, Affordable Housing, Traffic Congestion On Cascade, and more! SpringsTaxpayers Newsletter 10/19/18: Stapleton on Toll Roads, Regulating Short-Term Rentals, Yes On 109, and more! SpringsTaxpayers Newsletter 10/12/18: Citizens Speak Out About Bike Lanes, New Development Approved Near FEMA Bailout Neighborhood, Crank Ballot Recommendations, and more! SpringsTaxpayers Newsletter 10/5/18: Big Bucks at CSU, More Bike Lane Brouhaha, Candidate Surveys, and more! SpringTaxpayers Newsletter 9/28/18: Skorman Violates Code Of Ethics Then Is Let Off The Hook, Cog Railway News, Bike Ridership Down Nationwide, and more!